WebSummit in Lisbon is a great opportunity for startups. You can to meet investors, customers and get media coverage. It was our first WebSummit and we wanted to make it great. We would like to share our story and way of thinking about preparations and operations during the event. We’ve equipped ourselves with few sets of T-shirts that consisted of each of our names and logo for all days of the conference. Result was amazing. At the very first day we’ve had some spontaneous encounters with people that wanted to know more. Here you can see us meeting people that stopped us at the walkway. They asked us about using our behavioural biometrics for their wearable device. We need a catch to attract people to come to us. Giveaways was one of the first ideas in our head. We braced ourselves and departed into the abyss of online stores offering cheap plastic trifles, power banks and other low-end gadgets. Being a startup means being smart with your money. Why should we spend much for these? Our next idea was to prepare balloons with our logo or some drones that would fly around to attract attention and lead the stream of people towards us. Unfortunately rules for booths in WebSummit are very strict. “No rollup allowed, nothing loud, nothing standing outside of the booth”. We had to be within the limits of booth and still attract attention. It couldn’t be loud, quality giveaways made no sense for us. The best option seemed to be to attract people based on their sense of sight. Enlightenment descended upon our heads. Photons! Let’s bombard nearby people with shiny photons and change the wavelength live to let them feel that something is happening. This is the way we’ve put the lights on the booth. We were using two demos during WebSummit. One with fake bank website and other with a webmail client. We shared the credentials to the accounts with anyone that approached us. 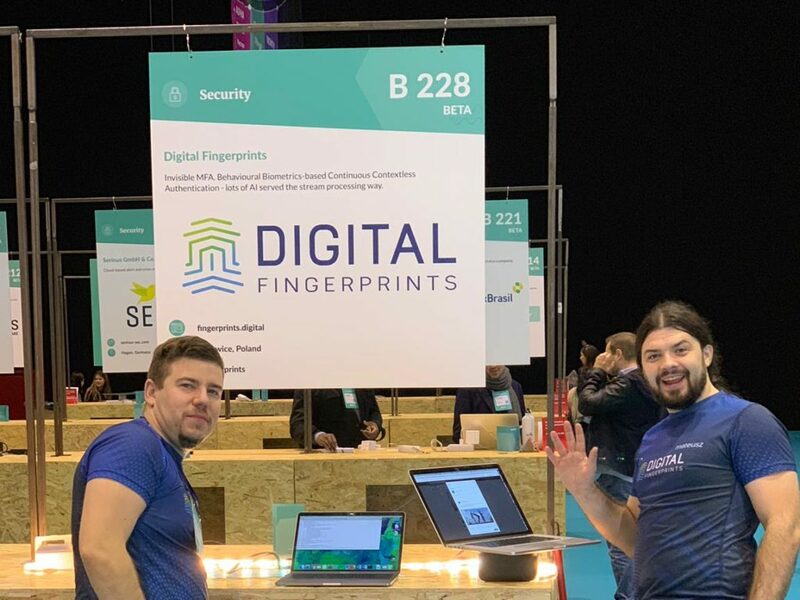 Demos were connected to the Digital Fingerprints product that verifies if person using the account is the valid owner, based on behavioural biometrics. In such case the bar that we displayed on website would be green. When we gave away the credentials and people that approached us tried to log in – the bar changed the colour to reflect the information about the score – person using the account was someone else than proper owner. Equipped with RGB led strip Krzysztof has developed connector and API so the lights started to reflect the colour of our demo bar. Got some sleep, tons of business cards and a smile on our faces. We’ve made some low cost buzz on the social media (which we will showcase in another how-to blog post) and started at the very morning. 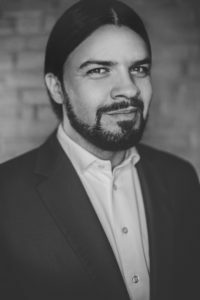 One of the first people that approached us was Jason Bloomberg from Intellyx that wrote about us here(Tutaj link do press coverage?). We were amased by the amount and variety of people that approached us. Most of them were curious about the product and wanted to see the demo. The more people were standing next to us – the more people got attracted. One person was handling investors that come by. We will publish how to handle or ‘hack’ investors 😉 post soon. Results amased us. We’ve had an endless traffic of customers since 9 am till 5 pm. Thank you for visiting us. If you would like to read more stories of how we do as a startup on various events, please let us know in the comments. 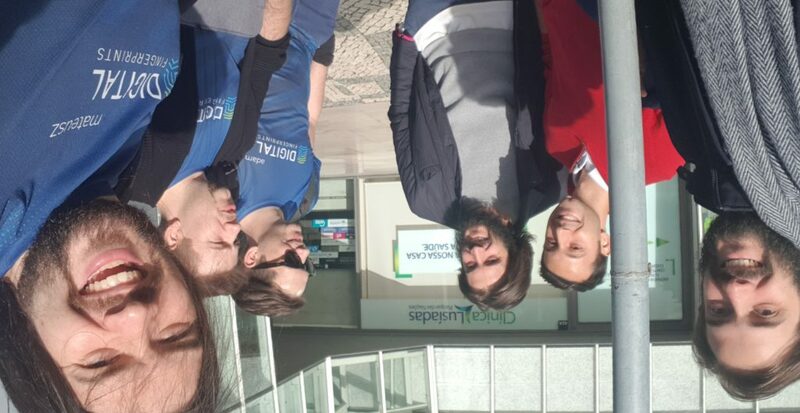 Huge thanks to all team members that prepared the demo Tomasz, Jakub, Krzysztof, Sebastian as well as those that went to Lisbon: Sebastian & Adam.